How to introduce a pen-and-paper RPG to family? My brother and I have dabbled in D&D when we were younger. Also, at the last place where I worked, we had a weekly Pathfinder game session, which was fun. Usually at our family get-togethers my brother brings a ton of board games to play, like Carcassone, Puerto Rico, etc. We'll be meeting for Thanksgiving and I asked my brother if he thinks we'll be able to get everyone to play some D&D, or some other, easier pen-and-paper RPG. He thinks it will be overly complicated and people will not enjoy it. He mentioned there is a D&D board game which could be a nice introduction. Is an RPG board game a viable option? Is it / can it be as immersive as pen-and-paper? If we try the pen-and-paper version, is there a particular campaign we should try? We both have no major GM experience, so should we stick to the board game to retain the fun factor? I think it depends on whether your family members have the interest and attention span required. Neither of my parents would play an RPG, but my brother would. I think there are several important factors for this - especially if you don't want to ruin your holidays! It's got to be a fast game. You have to have a short, simple scenario ready to go. You have to tailor it to your family. What will captivate them? Puzzles? Fights? Negotiations? A known property that they can relate to might make things easier. I think a simple ruleset is probably in order. You've got what - A day? A weekend? You can't expect them to absorb everything you've spent years learning in that span. Primetime Adventures. PtA is the game of making the best TV series that never was. It uses a simple deck-of-cards mechanic, is very character oriented, and can be adapted to a wide variety of genres. I think if you can come up with a few series pitches, you can play it all in one day. And you'll have fun putting your series together no matter what! Leverage. This is one of those "known property" games I was talking about. It is licensed from the TV show of the same name, where a bunch of thieves and criminals and con-men band together to help people. Yeah, I know. Just think of it as a caper movie every week. The system is designed to represent these hyper-competent folks - every member of a crew is among the best in the world at his or her specialty. There's no PC death and it allows you to replace, "Darn! I wish we had thought of that before!" with a flashback showing how your super-smooth crew did think of it before. If your family likes this show, I would recommend trying this game out. Similar recommendations may apply to other licensed games, but Leverage is the best example I could come up with, due to the combination of simple system, mainstream property, and story emphasis. Savage Worlds. Savage Worlds is another die-size-for-rating like the Leverage game where a d8 in Strength is better than a d6, etc.. But SW is a much more conventional multi-genre RPG. I don't know if the $10 Explorer's Edition book is still available, but it's one of the best deals there ever was in gaming. With the core book and a little creativity, not to mention the fan-created resources on the net, you can be ready to go in whatever genre piques your family's interest in just a couple of hours. Something like "Great! So, we all want to play in a Mad-Max sort of wasteland where the apocalypse was magical instead of nuclear. I'll get some stuff ready while you make gravy...". There are also a large number of freely downloadable one-sheet adventures, along with a free set of test-drive rules, which allow you to try the system without spending any money up front. Gamma World. I actually just thought of this after writing up the Savage Worlds entry. But my awesome wife just bought me this cool game, and I think it would be a good fit, provided your family can dig the wacky setting. It looks like character creation is very fast. And there are lots of online character generators! Good luck, happy holidays, and I hope it works out great! With the system discontinued and the setting abandoned, I can no longer really recommend Gamma World. This does not change how awesome my wife is. However, my most recent experiences with bringing neophyte gamers into the fold have been with Dungeon World and they have been remarkably successful. By adhering to what are now well-known fantasy genre tropes, Dungeon World makes itself easy to explain - everyone knows what elves and dwarves are, and even rangers and wizards, thanks to The Lord of the Rings movies. Character creation is fast and simple - a menu-driven experience of making a few choices. Like most Apocalypse World-derived games, the character sheets themselves contain most of the instructions for character creation and the class-specific rules for each character. The game itself is fast and highly participatory. This means players get to keep taking actions, making decisions, and seeing those actions and decisions feed back into the game. I have run several Dungeon World games after work for new players, and have always had character creation and a satisfying chunk of dungeon adventure in just a few hours. Does it have to be D&D? My go-to game for introducing anyone to roleplaying is Fiasco, a game in which you create and play out a Coen Brothers-esque scenario. You’ll play ordinary people with powerful ambition and poor impulse control. There will be big dreams and flawed execution. It won’t go well for them, to put it mildly, and in the end it will probably collapse into a glorious heap of jealousy, murder, and recrimination. Lives and reputations will be lost, painful wisdom will be gained, and if you are really lucky, your guy just might end up back where he started. It's for three-to-five players, GM-less, has no character sheets, and games last about 2-3 hours. 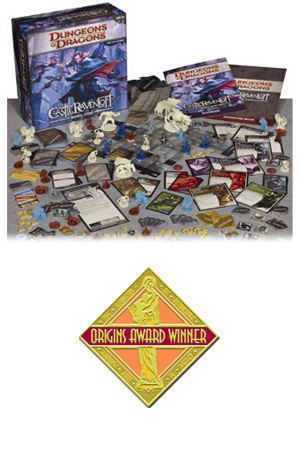 There are boardgame versions of D&D - everything is self contained in the box: Map tiles, minis, vastly simplified 4e-derived rules, power/item cards, pregenerated characters and scenarios. The monsters are tightly scripted and controlled by the players, so there is no DM - everyone gets to play a character. The upsides are a much quicker setup and simplified play. Most games I've played lasted about an hour. One (where we lost) took closer to 2 hours. Pregenerated characters with limited options to customize (does the fighter want plate or chain armor? Sword, axe, spear, or bow? Who does the Cleric worship? Run just the core rules (or as simplify the rules as much as possible). As a somewhat newbie GM, those rules sometimes are hard to remember unless/until you GM for a while. The adventure should be simple, straight-forward, with limited plot-twists. Set up a simple scenario, a band of orcs abducted the Belle of the town and plans to execute her in part of their religious rituals in 3 days. Players go to the Orc lair, free the girl, kill the orcs, and get back to the village before the festival of the gods in a week. Think simple Summer Popcorn movie, instead of psychological thriller or intricate heist drama. Let folks walk away if they get bored/uninterested (and either continue them as NPCs, or be able to explain why they leave). I asked this question in the chat room, and was pointed to Fate Accelerated. It is an easy system, that depends more on creativity than rules, although it has enough framework to make it interesting. It should work really well. You can try the system out for free (Well, the dice cost money, but there are alternatives...), and pay for it what you like if it is successful in your house. It has a relatively narrow system, most of it can be learned rather quickly, but the GM might need a bit more practice, including looking at some of the material from Fate Core. Still, it seems like an excellent choice! Short of that, there are some specific things that you should look for. What are your kids interested in? Mom will probably play along for a while, but it must be interesting to the kids, or else they will give up easily. What kinds of challenges do your kids like? How strict to the rules do you want to do? What kinds of stories does your family like to tell, or read? Also, the chatroom is an excellent resource. I highly suggest it! That's a tough call. Getting my family to play role-playing games is usually like pulling teeth. However, whenever I can pull it off everyone who participates has a load of fun. Have you considered a basic D&D game? set up is usually pretty quick. Savage Worlds is a fairly fast system but it's too miniatures orientated for my taste. If you can get a board game/rpg game that might work well, but they rarely play out as well as a traditional pen and paper game. I have 3 suggestions for board/entry RPG games for your family. 1) if they're lightweights, or you think a silly type of game might help, I'd suggest Steve Jackson's Munchkin. It's easy to learn, fun to play, has quick games, and the best part is that it naturally encourages role-play, which can be built upon to segway into a full-RPG. 2) If they're willing to devote a decent amount of time, and risk losing a game, Arkham Horror. It's Cthulu, and it's flat-out amazing. 3) somewhat half-way between the two, Betrayal at the House on the Hill. You end up building the map as you go, and it's great fun. The modern day setting is easy for everyone to pick up and the basic antagonists (vampires, werewolves, ghosts, zombies) have touch points all over popular culture. Even people who are not fans of the horror genre can imagine what it might be like to encounter the supernatural in real life. If you down play the supernatural horror of the setting, it's a fine system to use to run crime dramas, social interactions, etc. I recommend introducing your family to Dungeon World! World building is cooperative. This makes it easier on the GM (very little prep required) and lets all the players give input into the kind of world in which they get to play. The game should start with a map with blanks. The GM asks questions and uses the answers to fill it in. You don't need to read the rules to play. It's designed with new players in mind. Just read the Character sheet and a sheet with the basic moves and with a little help from the GM, you're ready to play! It has strong and active community support. There's a G+ community (Dungeon World Tavern) and Dungeon-World.com (and many others). This is mostly for the GM, who will have to wrap his head around some non-traditional concepts. I suggest an aspiring GM play in some Google Hangout games before attempting to GM. This is easily done from the G+ Community mentioned above. The mechanics and GM principles keep it more interesting and engaging than conventional RPG's. The game plays like a conversation, where some games might get bogged down for some players while waiting for their turn, the DW-GM can suddenly turn to players to keep them in the action. (4. cont.) Every roll moves the game forward. When a player rolls well, they feel awesome for succeeding. A mid-ranged-result means they succeed, but at a cost. And a low roll means they get XP and the GM makes a move. This game has rekindled my love of the fantasy genre and role-playing in general. In the G+ Community 'Dungeon World Tavern,' many members have played this game with their families with very positive results. Roll for shoes is the system I have used in this situation. It's very easy for you to game-master and it's very easy for muggles and kids to pick up and play without feeling like they're immersing themselves in some baroque super-geeky subculture. My kids enjoy it and we can pick it up and play at any time with almost no prep. 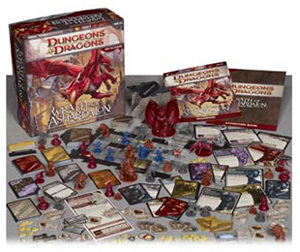 I enjoy board games and even some of the new D&D board games. But it sure isn't role-playing. Not the answer you're looking for? Browse other questions tagged game-recommendation new-gm new-players campaign or ask your own question. Is there a pen and paper rpg adaptation of Half Life? Working (unofficial) pen and paper rpg adaptation of Mass Effect? Are there any pen-and-paper RPGs based on the writings of Ray Bradbury? Choosing DnD 4th edition or Essentials for a new group and DM? What's a good fast-combat system that scales to 6-10 players? is there a pecil and paper type rpg that you can play by yourself? Simple fantasy-themed RPG for just two players and a GM? I want to teach English with a simple RPG: Which one should I use? How can I get started in pen-and-paper RPG as quickly as possible without any experienced players (including me)? A pen-and-paper RPG with a “Save Game” function (and how that works)?